Hello Guys. In these days I am getting lot of questions from my team members and from friends about Material Design and Support libraries. 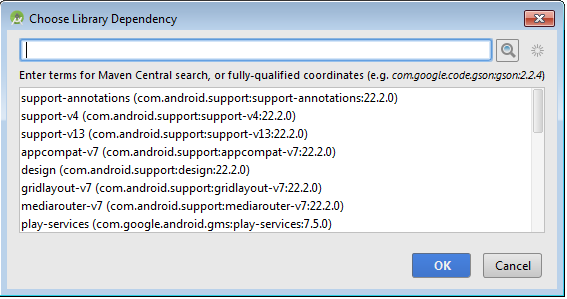 Mostly are confused what they are like v4, v7, v13, design support library, annotation library and more. So I decided to elaborate all these things and also show them how Google Developer Team doing a lot of good work for us so we can make awesome apps. As we know Google updating Android OS very rapidly and those who has Google Android Devices they will get updates very early but the biggest issue of Android is, that is an Open Source. 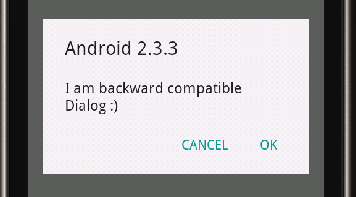 So there are many other vendors which are using Android like Samsung, HTC and many more. These vendors taking time to give update of OS. So these users are not able to enjoy the new features and experiences. In my opinion Google uses a this approach to make Support libraries. Every Android user can get the enjoyment of new features if there vendor did not update the OS but developer added library into there application then any old OS user can enjoy the latest features in its device. Now I am going to define each and every library one by one but before that only you need to know what are these version numbers. 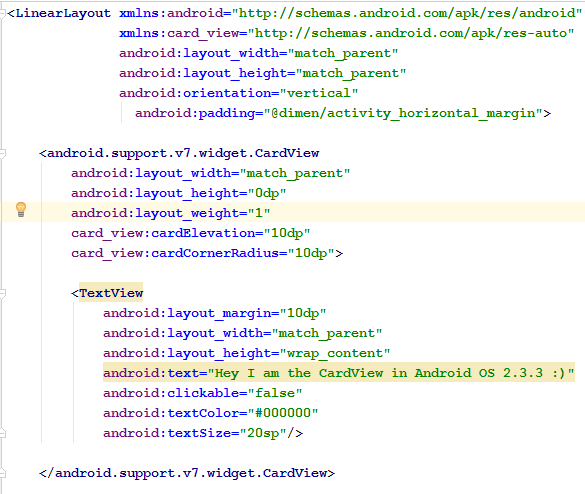 So v4 means this library compatible with Android API level 4 or Android 1.6. 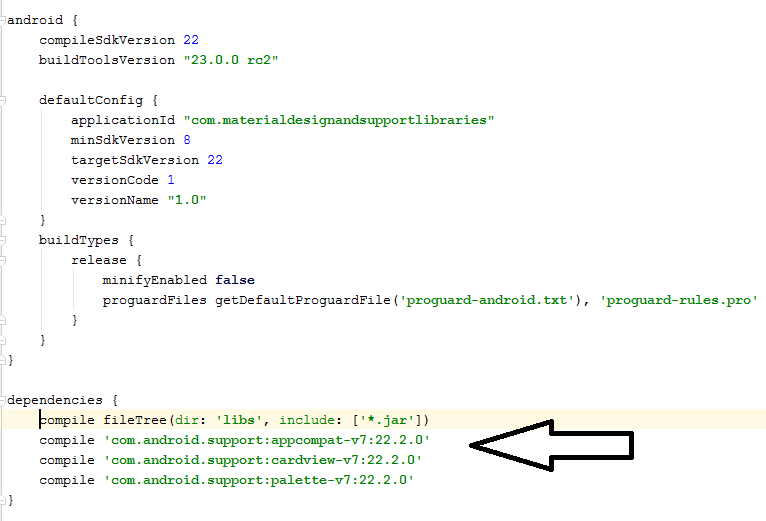 For more clearance like we know Android launched Fragments in Android 3.0 but if I want to use that below this API like I have minimum SDK version 1.6 then I will add v4 library and now I can use that feature in Android 1.6. I think now that ambiguity is clear. V7 mean our application min version support will be API level 7 or Android 2.1 then this library will be compatible and give us the awesome features which are basically given in advance OS or API levels. There are more then one libraries which are available in V7 version. So I will discuss these libraries one by one. Basically Google released first this library with name ActionBarCompat library in which they give the Action Bar feature to older version. Since then ActionBarCompat library renamed with AppCompatLibrary. 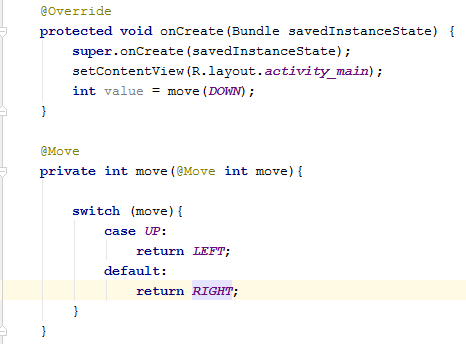 If you want to add this library in Eclipse then you need to add V4 because that is dependent on this and if you add V7AppCompatLibrary in Android Studio then Gradle automatically manage that. Now its time to see what type of benefits we can get from this library. 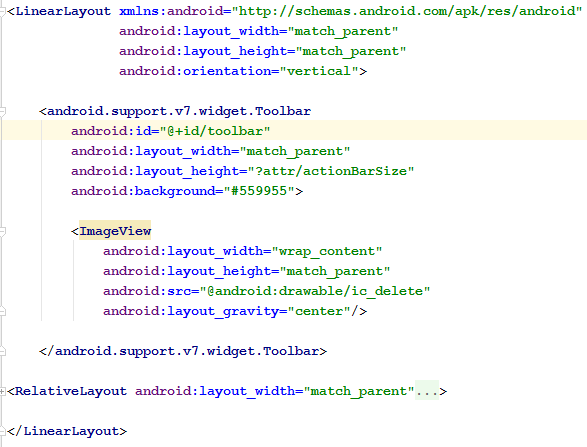 Now we can use material color palette in Android 2.2 and above as shown below. replacement of Action Bar. That is available in AppCompatLibrary and Toolbar is more flexible then Action Bar. 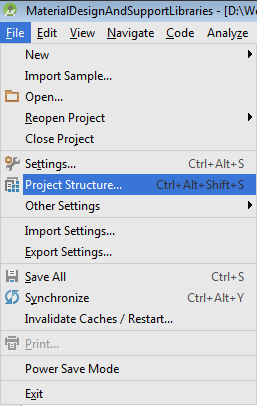 Very simple first open your style file and change Theme as shown below. Next add Toolbar in your layout as we use Views and ViewGroups. Now in Activity you need to set Toolbar as Action Bar. Complete but I want to show you some more things about Toolbar. As we know we cab use Action Bar back to button to move Parent Activity. We can use same functionality in Toolbar. Now I am going to customizing our Toolbar so you can easily know how much Toolbar is flexible then Action Bar. 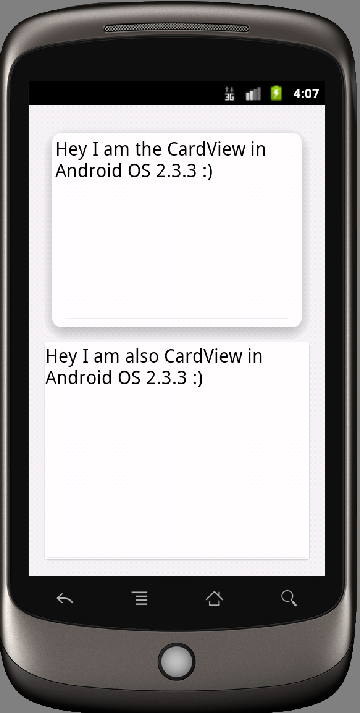 CardView launched with Lollipop but that is also available as a support library and it is compatible up to API Level 7. 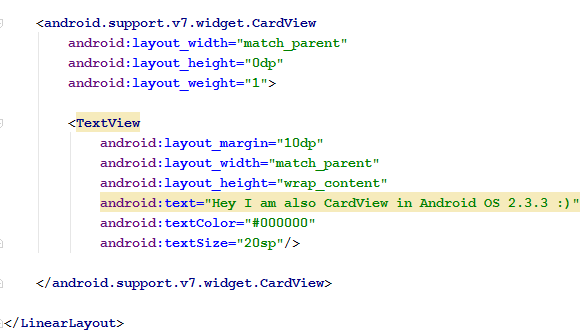 CardView is a vary basic block in material design. There are many things we can do with CardView to make our App user experience awesome. Now I am going to next libraries and those who want to learn more about CardView for them I have a good news. I have a plan to publish more posts on Animation, RecyclerView and a complete app of Material design. So I will use CardView in these posts and you easily learn more about this widget. GridLayout also available in support library. I feel that contain lot of things so I will publish separate post for this library. RecycleView basically replaces a ListView. It is a very power full and lightweight in comparison with ListView. For RecycleView I have a plan to publish a separate post. This library help us to extract color from image on run time. Here I am giving one example in which we have a one ImageView with color image and one FrameLayout which has a default background color Black. 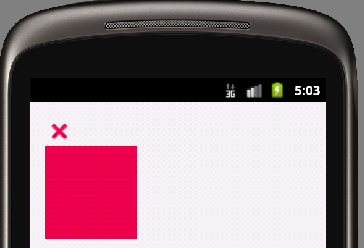 So as we run app the FrameLayout background color will change with the ImageView bitmap color. Which I extract by using Palette. 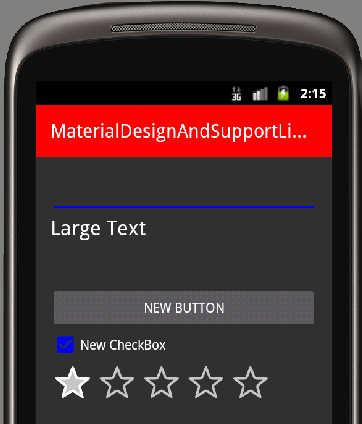 Components which are available in this library you can check on android developer website. Annotations in my opinion are awesome. Here I am giving a simple example, as we know enums are not good according to android doc and not recommended due to performance issues. So we can use this annotation library to use integers but implement as type safe like enums. Now as you see there are some compile time errors. 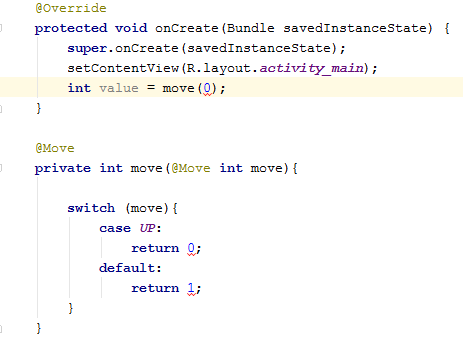 Because we restrict our parameter and return type by using Annotation. 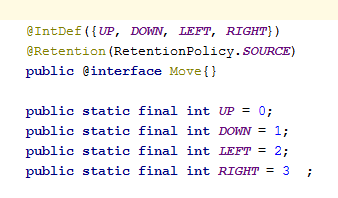 So IDE is saying parameter and return type will be Move. Now all compile time errors gone. One more thing if you see I use a RetentionPolicy.SOURCE so its mean that annotation only work on compile time as we run our app after that will be consider simple integer constants. If you want to explore more this annotation you can check on tools.android.com. 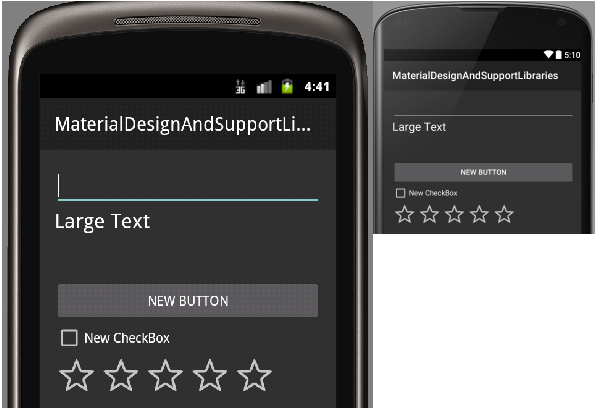 This library support adding material design components and patterns to apps. I am excited to tell you about this library components. But I feel this library has a long list of components and also our post already very long. So I decided I will publish a separate post for Design Support Library. 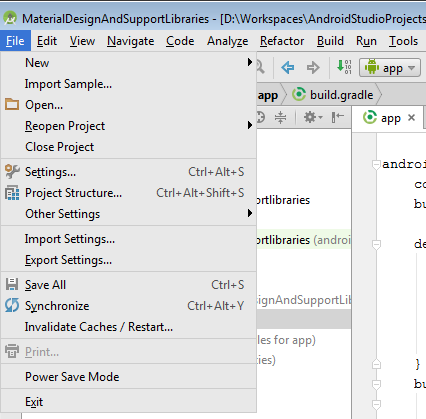 Now last thing how we can add these libraries in Android Studio. So there are two methods. 1. 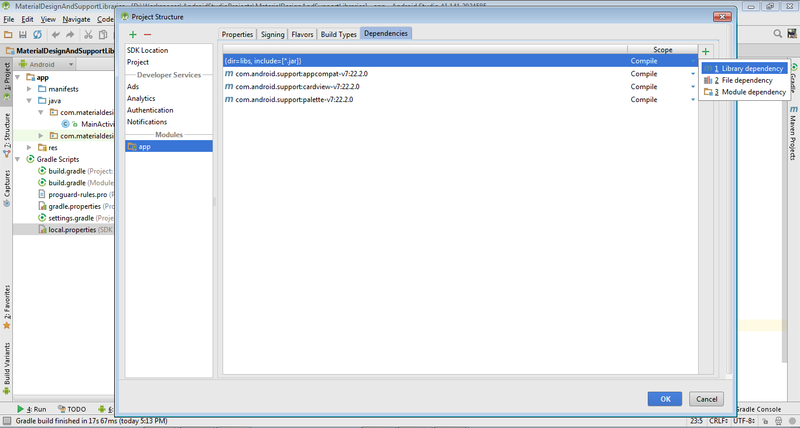 Open builde.gradle of app module and paste library name in class dependencies as shown below. I hope you enjoy this post. All of your ambiguities removed from your brain and I think now you are confident to use these libraries and make awesome Android apps for users. Great intro. This would definitely help a lot of people in understanding the support libraries without a doubt. I point#2 you briefly talked about “Material Color Palette”. Can you please elaborate it a little more. 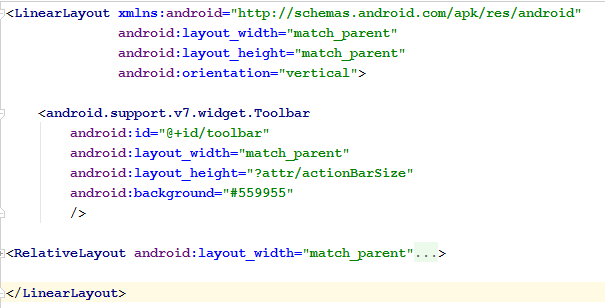 How can i get my hands on this wonderful material design color palette from inside the android SDK?